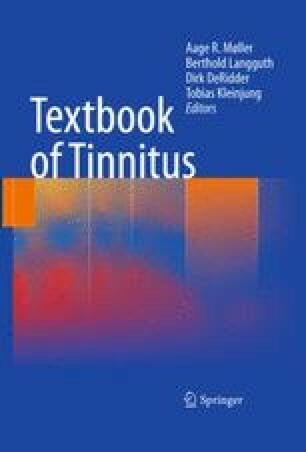 Misophonia, phonophobia, and “exploding head” syndrome have symptoms that may occur together with some forms of tinnitus or they can occur alone. These sensations are different from hyperacusis which is a lowered tolerance to most kinds of sounds. Misophonia is a dislike of specific kinds of sounds. Attempts have been made to treat misophonia using the same methods as used for treating tinnitus. Phonophobia is a fear of specific sounds related to the implication of the sounds. The non-classical auditory pathways providing a subcortical route to the amygdala may be involved in phonophobia. The “exploding head” syndrome is the experience of a very loud and sudden noise that seems to originate from within the head. It often occurs during sleep and wakes up the individual. The “exploding head” syndrome may have similarities with REM sleep behavior disorder (RBD).